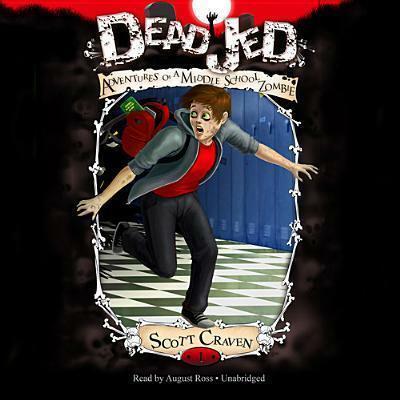 Dead Jed is Shaun of the Dead meets Diary of a Wimpy Kid. Jed's not your typical middle school geek. He is, to use the politically correct term, cardiovascularly challenged. And while his parents have attempted to shield him from the implications of being different for as long as they could (Jed was eight and at a friend's sister's birthday party when he blew his lips off onto the cake in front of everyone, finally prompting the "big talk" from his parents and an emergency superglue repair by his dad), seventh grade at Pine Hollow Middle School as a target of Robbie the supreme school bully and his pack of moronic toadies is rapidly becoming unbearable. From being stuffed in a filled trash can as "dead meat" and into a trophy case as the bully's "prize" to literally having his hand pulled off in the boys' room (Jed's always losing body parts--but with a good stapler and some duct tape, he's back in the action), Jed's had enough and is ready to plan his revenge. Besides, it's awesome what you can do when you're already dead.